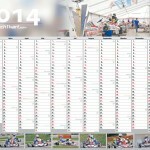 As in past years, we have published our huge year wall calendar for you. In addition, we have adapted the design and theme: The theme this year is our racing team “Mach1 Motorsport”, as a special bonus we already marked the most important race dates for you. To our in-house exhibition on 31st of January and 1st of February 2014 you can pick up the calendar and at the same time relive workshops, promotions and factory tours. 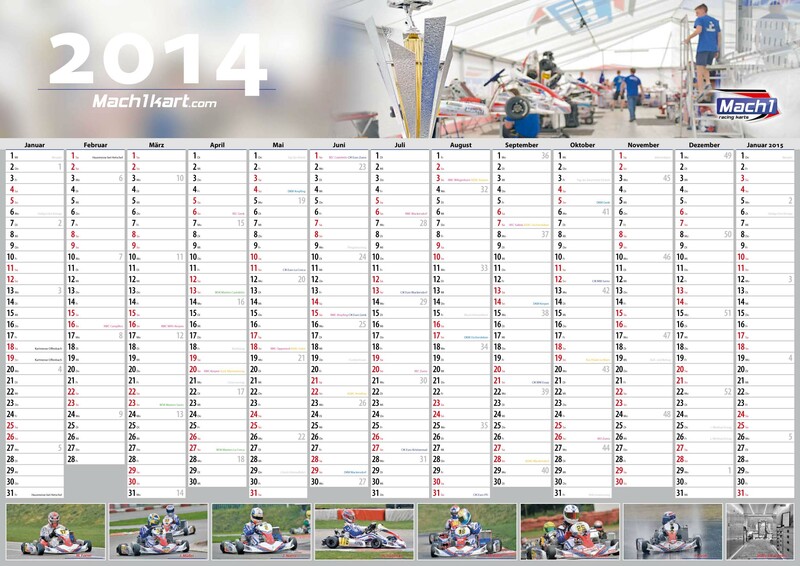 Also you can get a free copy at the Kart fair in Offenbach on 18 and 19th January 2014 at the booth of TAD and DS-karting. Further on, we want to take the opportunity to say thank you for an exciting and successful 2013 season and wish you merry Christmas days, and a happy new year! We will close our company on 20th of December and will be back for you on 7th of January. I like your 2014 Mach1 calendar very much ! Please, send me some samples like usual….